I eat chicken, fruit, vegetables, nuts, kasha, and eggs pretty much all day every day. On the rare day when I am really going ‘crazy’ I will fit in toast, a serving of cereal, or cheese. I am clearly going insane. The bleary eyed, barely coherent conversation with my scale every morning doesn’t help the insanity levels. Scale – Oh it’s you…again. Scale – Cheerio. Let’s see how your macros and training treated you yesterday. I am calculating your gravitational pull on the earth…give me a few moments. DLH – Err? What the heck is that? Scale – I need time to prepare myself after you stomp on me. Calculating gravitational pull of a woman in your metabolic state requires getting in the zone. DLH – Fine. Ready now Sassy Pants? Scale – I am prepared. Scale – 156.7 is a fine number. 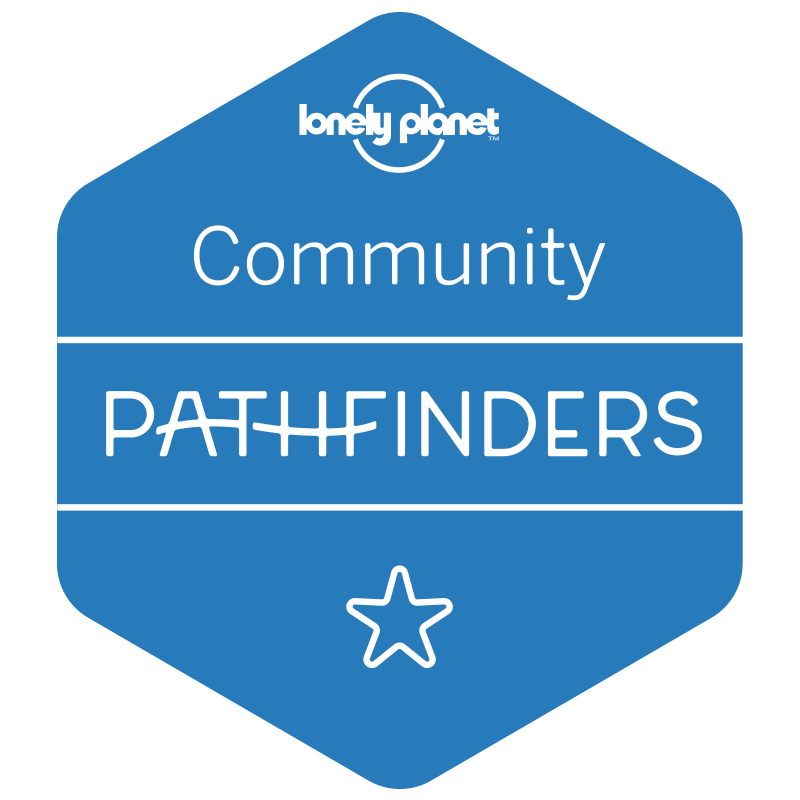 DLH – You call that trying? Scale – I have put down my crumpets to be at your beck and call every morning at 4:32; what more do you want? DLH – You call that better? Scale – A synonym for better is greater. Who doesn’t want to be greater? Scale – Possibly, but I get to go back to crumpet eating whereas you get to eat more vegetables. Maybe go crazy today! Eat some asparagus today instead of the green beans and peppers. Scale – 156.7. May I go back to my tea and crumpets now or are you going to continue negotiating with an inanimate object? DLH – See you tomorrow. Feel free to shove those crumpets where the sun doesn’t shine. **I have decided that my scale has an English accent; makes his sarcasm more bearable somehow. I can hear all the comments now. The morning number can make me crazy, but now I just allow it to annoy me for about 5 minutes while I make my coffee. Most days I just laugh at it now. All that being said, it is time to make a change so I don’t actually go insane. Enter Reese’s Peanut Butter Cup. I *heart* RPBCs more than most food, especially the miniature ones. Somehow buying a whole bag of small chocolates to have them scream, ‘Eat me! Eat MMMMEEEEEE!’ seemed highly irresponsible, so I opted for one candy bar. 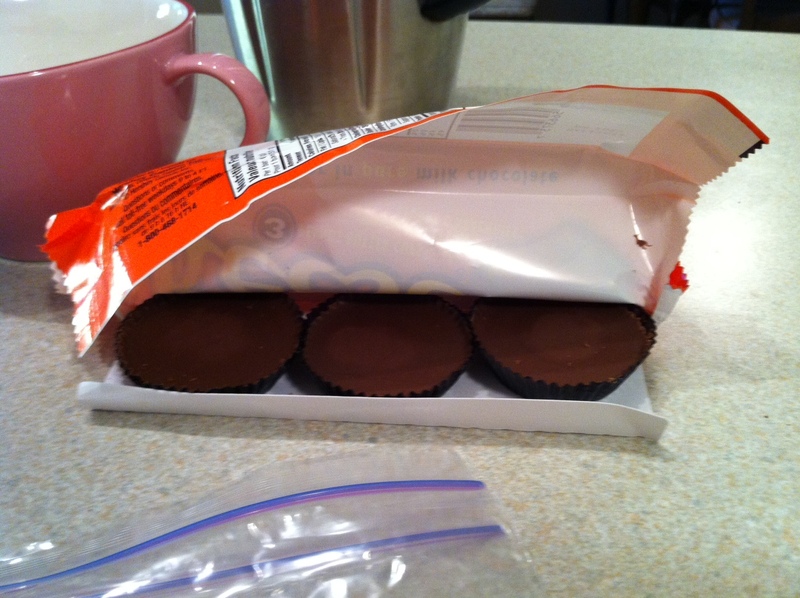 One candy bar has three cups in it. Three...but not all for me...at least not RIGHT NOW. Eating all three of them was not an option, so I leveraged my discipline before I started. If Ziploc knew how much I used their product, they would sponsor me! 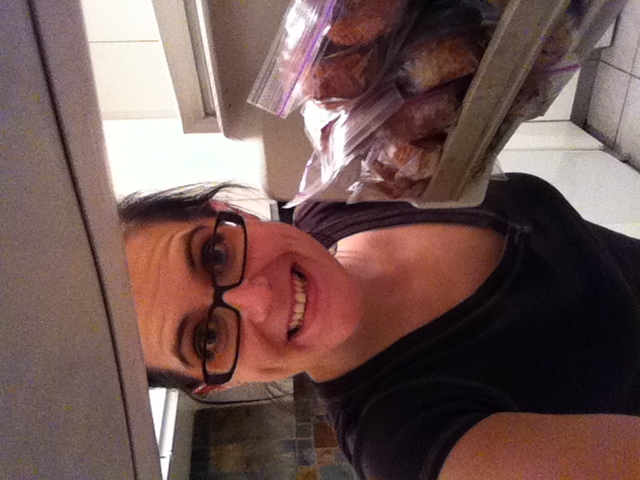 I put the remaining two in the freezer, albeit grudgingly. In you go! I promise, I will be back to eat you SOON. I had one with my afternoon coffee while I worked away. I was flying and found myself warmer than I normally would be while going for a run in the brisk fall weather. Feels good to easily fit a treat into my macros. 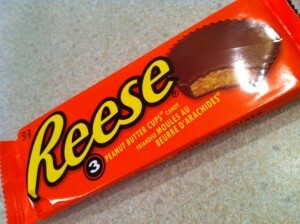 Reese’s Peanut Butter Cups aren’t as tasty as I recall them being two years ago. Simple sugars before training possibly makes you ‘hotter’. 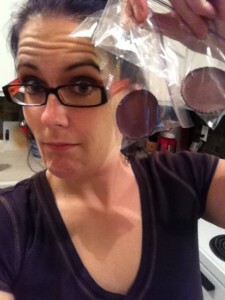 Ziplocs + a freezer = success in eating just one peanut butter cup. I usually train or do cardio after breakfast around 6:30 or 7:00 in the morning, so there is only one question left to ask. 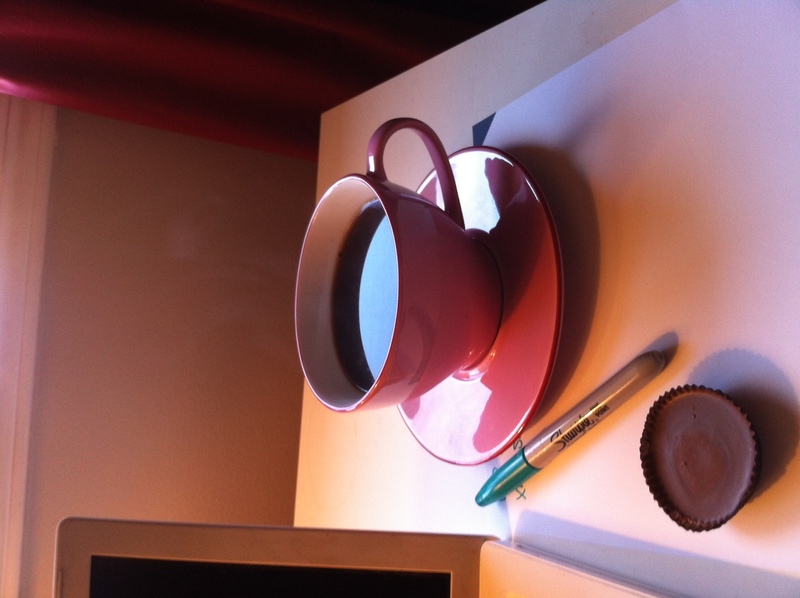 Should I have Reese’s Peanut Butter Cups for breakfast? They are my most favoritest candy ever. Remember when they used to come 2 in a pack? It’s no wonder people are fatter now than in the 80s. And also, I kinda like frozen Reese’s. They’re yummy chocolaty, peanutbuttery popsicles. I know, what is the deal with the THREE pack? 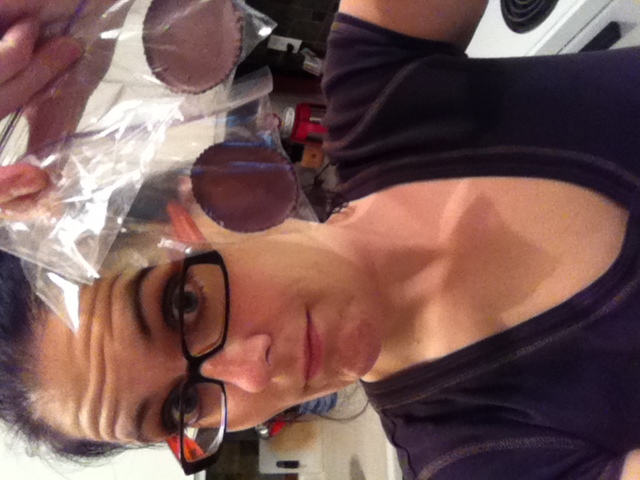 I was thinking I need to find the individually wrapped ones and put them in my freezer….A LOT of them. hahaha! I think I am going to try a frozen one today. 🙂 Mmmmm! Oh no! Now I am going to have to NOT freeze them. lol! I fit a pop tart in to my life at least once or twice a week. Keeps me happy. I’ve discovered a truffle 3musketeers 20 carbs 8 fat and 2 protein in two sticks! Totally. I need to fit the ‘junk food’ back in. Woman cannot live on chicken and vegetables alone! Well I figure at least the scale and I are still talking – that’s positive, right? I heart this post! And I’m so happy you got to have a Reese’s! Your body temp most likely went up because your body was working hard trying to figure out how to deal with the unexpected food. BTW – frozen or cold Reese’s are MUCH better than room temp. In fact, any candy bar tastes best in the fridge or freezer. Guess what I am going to have with my coffee later this am? YUP! One of the frozen ones. Mmmm! I commend you for eating only one. I can not have chocolate in my house. I would have eaten one and wanted the other 2…. peanut butter and chocoloate are a heavenly combination. YES, heavenly indeed. I wanted the other two, but sure didn’t want the guilt that goes along with ’em. 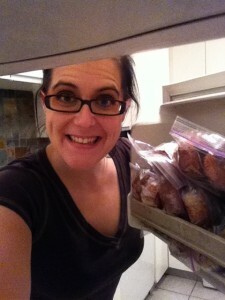 So into the freezer they went. Hah! My daughter and I are addicted to Reeses as well. They are just so dang good. Nothing better than PB and Chocolate in one. You seriously, CRACK ME UP. I love this post. I think this might be one of my favorites I have read in a while! 🙂 Glad I can bring a smile. Reese’s Addicts unite! You are a crackup! Your scale conversation is way too funny! Good job on the ONE Reese’s. Very impressive. I agree with many of the other girls that cold or frozen Reese’s is better. Much better. Can’t wait to hear how you enjoyed it frozen. Glad to hear you eating something different. This may be just the thing to start your metabolism going in a whole new direction. Your body gets used to metabolizing the same thing so this should jump start it. I’ll be curious to see what happens. Oh yes, body boredom with vegetables…happens all the time! Haha! You’re going to hate me, but stop weighing yourself every single day!!! I know where you’re coming from – I used to do it too, but I now only weigh myself once a month. Doing it every day seemed to totally control my mood and make me feel bad about myself, no matter how much progress I was seeing elsewhere. But good on you for having a treat! 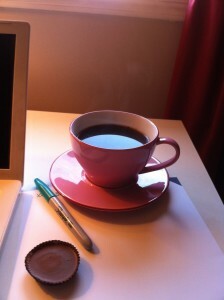 I found a recipe on another blog for a healthy PB cup. I make it a couple of times a week and it kills all my cravings. It almost tastes as good as the Reeses version! Blend one serve of protein powder with 1/2 cup water, 1 tspn stevia, 1 tablespoon of cocoa powder and 1 tablespoon of peanut butter. Pour into a mini muffin tray and freeze for 1-2 hours. SO good! And no hating! How could I hate you?! OH.MY.GAWD you actually saved two of them? I love love them and the new mini ones are divine but addictive! Think I’ll give my scale a British accent to cuz’ like you said makes the sarcasm not as bad! Seriously, who can get upset w/that awesome accent?! Seriously, who can get upset with a fabulous accent? I know…those mini ones are like CRACK. I looked at the package the other day in the grocery store an I decided it was because they have a higher carb to fat ratio. hah. The snide derision in the scale voice causes me to stomp on it repeatedly (likely to the severe annoyance of my downstairs neighbours), but it makes me feel better. I may have once poured water on it, too, in a fit of F.U. Mine sounds much like Stephen Frye, but that’s likely due to the fact that I watch Q.I. every night before I go to sleep, so it stands to reason that my morning weigh in would be a continuation of his diction in my head. Also, you’re crazy. Frozen reese’s. I don’t think they’d last long enough in my freezer to actually freeze. Today, I splurged on a full-fat Salted Caramel Mocha from Sbux AND a cabury Thins Toffee bar. Gonna be a sugary-headachey kind of day! Try getting your mass instead of weight. (ie measure in kilograms) The number is lower so you’ll feel better and nobody else will know what you’re talking about. Congratulations on eating just one RPBC! OMG – this is way too funny. Recently, my daughter asked for a bag of mini RPCs. When she saw the alternating looks of panic and longing on my face, she quickly grabbed a small chocolate bar and slowly steered me away from the ‘aisle of temptation’. I AM temptempted by cheesecake, which I allow myself a slice of every Sat. night. When I purchase the cake, I cut it in slices, and wrap each individual piece, and freeze the lot. Then when I go to take a piece on Sat. night, I am not tempted to cut a wider-than-one-piece-slice. Good work on the portioning, I find that is one of my best tools for success. Cheesecake…mmmm….now I am drooling over here.